You have just been appointed as an agent, or "attorney-in-fact," under a durable power of attorney, a document that, for most people, is even more useful than a will. Your appointment allows you to act in place of the “principal” – the person executing the power of attorney -- for financial purposes when and if that person ever becomes incapacitated. Here are answers to eight frequently asked questions about the agent’s duties, responsibilities and powers under the document. 1. What are my duties as agent? 2. What does it mean to be a "fiduciary"? This means that you will be held to the highest standards of good faith, fair dealing and undivided loyalty with respect to the principal. You must always act in his or her best interest and keep his or her goals and wishes in mind in making any discretionary decision. However, you do not have the same responsibility as a trustee or executor, who has total control over the estate or trust assets, since you share control with the principal himself or herself. Your duty only covers the level of care you take in your own actions as agent. 3. Can I be held liable for my actions as agent? Yes, but only if you act with willful misconduct or gross negligence. If you do your best and keep the principal's interests in mind as the basis of your actions, you will not incur any liability. 4. 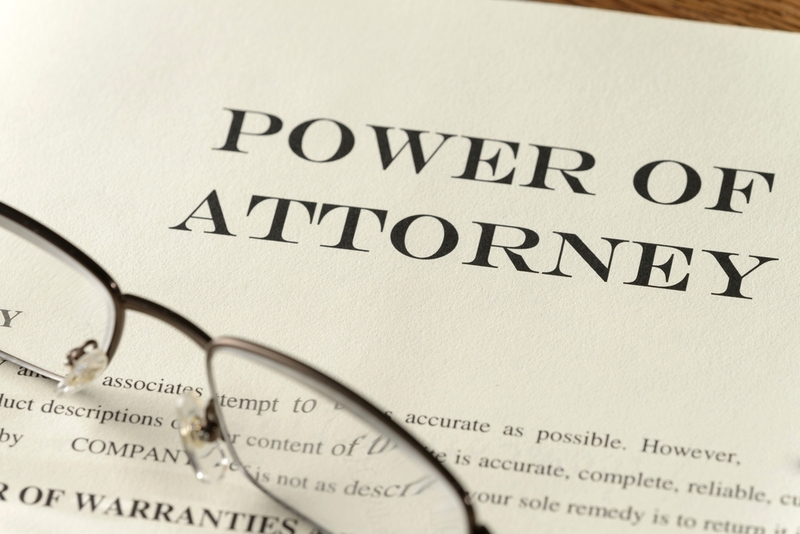 When does the power of attorney take effect? Unless the power of attorney is "springing," it takes effect as soon as it is signed by the principal. A "springing" power of attorney takes effect only when the event described in the instrument itself takes place. Typically, this is the incapacity of the principal as certified by one or more physicians. In most cases, even when the power of attorney is immediately effective, the principal does not intend for it to be used until he or she becomes incapacitated. You should discuss this with the principal so that you know and can carry out his or her wishes. 5. What if there is more than one agent? Depending on the wording of the power of attorney, you may or may not have to act together on all transactions. In most cases, when there are multiple agents they are appointed "severally," meaning that they can each act independently of one another. Nevertheless, it is important for them to communicate with one another to make certain that their actions are consistent. 6. Can I be fired? Certainly. The principal may revoke the power of attorney at any time. All he or she needs to do is send you a letter to this effect. The appointment of a conservator or guardian does not immediately revoke the power of attorney. But the conservator or guardian, like the principal, has the power to revoke the power of attorney. 7. What kind of records should I keep? It is very important that you keep good records of your actions under the power of attorney. That is the best way to be able to answer any questions anyone may raise. The most important rule to keep in mind is not to commingle the funds you are managing with your own money. Keep the accounts separate. The easiest way to keep records is to run all funds through a checking account. The checks will act as receipts and the checkbook register as a running account. 8. Can I be compensated for my work as agent? Yes, if the principal has agreed to pay you. In general, the agent is entitled to "reasonable" compensation for his or her services. However, in most cases, the agent is a family member and does not expect to be paid. If you would like to be paid, it is best that you discuss this with the principal, agree on a reasonable rate of payment, and put that agreement in writing. That is the only way to avoid misunderstandings in the future.